As I mentioned previously, I’m going through old issues of Daredevil. This invariably means that you’re bound to come across some pretty crazy stuff. Usually, it’s something that has to do with the plot or the dialogue, but every now and then, you’ll stumble upon a nice juicy artist’s goof. 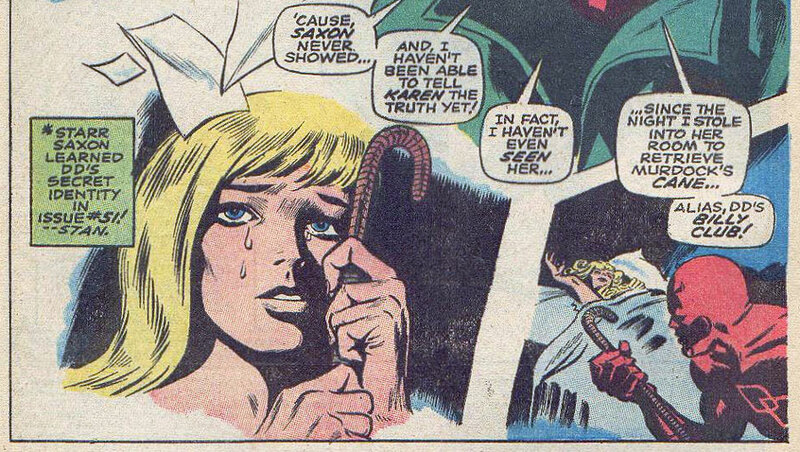 Both of the panels below have art by the legendary Gene Colan (and both are written by Roy Thomas), and both feature Karen Page. Colan was an undeniable genius and is rightfully regarded as a Daredevil legend, but it’s nice to know that even the likes of him can have an off day every once in a while. 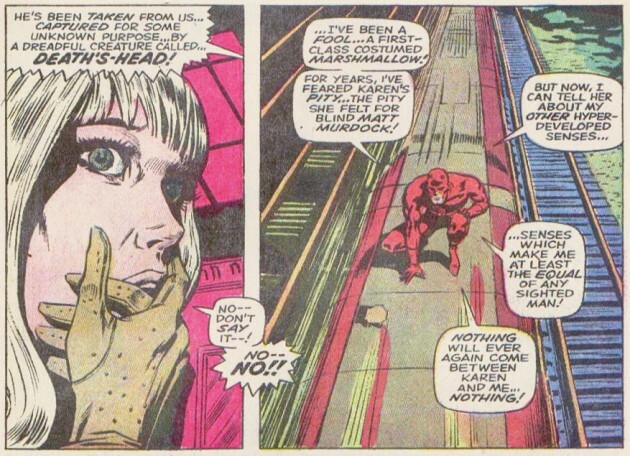 Or maybe an “off month” as these are from the back to back issues Daredevil #55 and 56. That’s it for now, I hope you all have a great rest of the weekend! Actually, you may be right. But that actually makes it look even weirder to me. Two hands need more space in the panel than what’s shown here and then you’d have a problem with missing fingers instead. Wow. It just looks weird as hell.